Clarets boss Sean Dyche hopes to have winger Johann Berg Gudmundsson back for the FA Cup fourth round tie at Manchester City on Saturday. And with Robbie Brady available after serving a three-match suspension, Dyche’s wide options are beginning to look a lot healthier. Iceland international Gudmundsson has missed the last two games after suffering a thigh injury in the win over League 1 Barnsley in the third round of the cup. And with Brady sent off at Huddersfield Town, on top of Aaron Lennon’s extended absence after knee surgery before Christmas, Dyche’s only available out and out wide player has been 19-year-old Dwight McNeil. McNeil has flourished in an extended run in the first team, starting the last five games – in which time Burnley have won four and drawn one. But midfielder Jeff Hendrick has had to be used as an auxiliary wide man in the last two games, again to good effect. Dyche wants his players to be fit to play, rather than play to be fit, and Gudmundsson wasn’t risked at Vicarage Road, in the hope the extra time will see him closer to 100% this weekend. Dyche said: “We have to be cautious because we have had so many bodies missing on and off this season, so the thing is now, when they are that close, we can’t risk it for fear of losing them for a longer period. “I hope it has worked by him not playing, and I hope it allows him a better period of recuperation for this weekend. “It will be good to have Robbie back and Johann, obviously it gives us more options, but I must say Dwight has done very well and Jeff when asked has done very well as well so a lot of good signs. 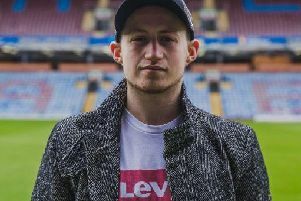 Lennon isn’t expected to return until next month at the earliest, and Dyche added: “Azza is going to be longer term, but he is making good progress. Burnley will go to City on Saturday with three clean sheets in their last five outings. Tom Heaton has kept two in the four Premier League games since being restored to the side, and Dyche said, after Saturday’s goal-less draw at Watford: “I thought Tom (Heaton) deserved to keep a clean sheet. The team in front of him was very good.